Stress has become our constant companion in our fast-paced lifestyles. A little stress has its benefits, without it we might get nothing done, but few of us have just a little stress. The side effects of chronic stress are many and unfortunately include an expanding waistline. There are healthy ways and unhealthy ways to deal with stress, and one very unhealthy way is stress eating. We have all been there. After a long stressful day, who is craving a salad? Most people go straight for the high-sugar and high-fat easy meals – there are several scientific explanations for this all-too-human reaction. First of all, under stress we secrete a hormone called cortisol. We may have evolved this cortisol release to prepare us for a fight-or-flight response because cortisol causes our cells to mobilize sugar for our immediate response. The problem is that under chronic stress, the higher sugar from the cortisol will be met with an insulin surge that then drops the blood sugar. The spike and then drop is a strong cue to eat, and to specifically replenish the sugar. Additionally, since stress in ancient times often came in the form of food scarcity, science has found that stress actually drives us to eat calorie-dense foods, which may have been good in ancient times but is awful when surrounded by fast food restaurants offering an assortment of high-calorie foods 24/7. Of course, there is also science to explain the soothing effect of food. Food stimulates dopamine receptors in the brain that bring pleasure – the best antidote for the pain of stress. In fact, not all people respond to stress with unhealthy eating and science has an explanation. Special MRIs of the brains of people with a normal bodyweight show a healthy supply of dopamine receptors, which bring pleasure when stimulated. When you look at people who suffer with obesity, their brains have a paucity of dopamine receptors, and when shown a greasy hamburger, they have more of a response in the parts of the brain that drive hunger than do normal weight comparisons. So, these people have a harder time getting the satisfaction from their food and are therefore more driven to eat under stressful situations. I think it is important to understand that this is not all a will-power issue, and you are not a failure for stress eating. This is a physiologic response driven by hormones that’s hard wired into our DNA. That being said, there are very helpful tips that can certainly work to combat stress eating. First off, stress management is key. You have heard this before but exercise, meditation and good sleeping habits are absolutely essential to controlling cortisol and are essential parts of stress management. When it comes to stress eating, it is important to note that the drive to eat is almost subconscious. 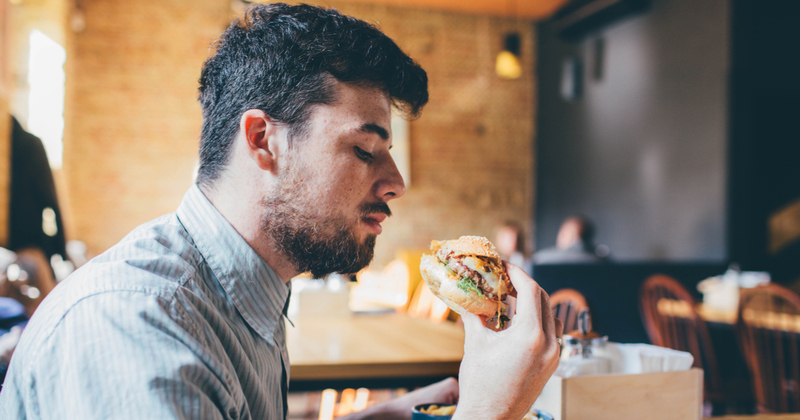 In a lab study where they put people under stress and then had food sitting around, people were more likely to subconsciously go for the junk food. The key is to be very conscious about your food decisions, at least in the beginning. I always recommend my patients keep food journals – journaling alone has been associated with weight loss and it is a great stress reliever. But it also allows you to be very cognizant about what is driving you to eat and what situations make you turn to unhealthy foods. Secondly, never make game-time decisions. Once you know your cues, make a plan. I can tell you that if you don’t know what you are eating for lunch and someone orders pizza, you will definitely be having pizza for lunch. If, however, the night before you plan your meal for the day and you know you had planned a salad and even brought one with you, you are much less likely to eat the pizza. Finally, prepare for the inevitable stress. Judith Beck, a leader in cognitive behavioral therapy and author of Beck’s Diet Solution, suggests that people make index cards with “If, then” scenarios. For example: the card may read, “I get stressed when my kids don’t do their chores. If my kids don’t do their chores, then I will go for a walk.” In other words – you realize what drives you to eat unhealthy foods and instead of eating the unhealthy foods, you have a plan to alleviate the stress. Over time, you will gain better control of your drives. These suggestions are part of a very effective, and well-studied, psychological technique called cognitive behavioral therapy. There are many books on the topic that can help you, including Dr. Beck’s. Alternatively, at Mission Weight Management our team of physicians, dietitians and behavioral therapists can give you the tools to reign in the stress eating. Garth Davis, MD, FASMBS, is the Medical Director of Mission Weight Management. To learn more about Dr. Davis and Mission Weight Management, or to sign up for a free information session, call 828-213-4100 or visit garthdavismd.org .